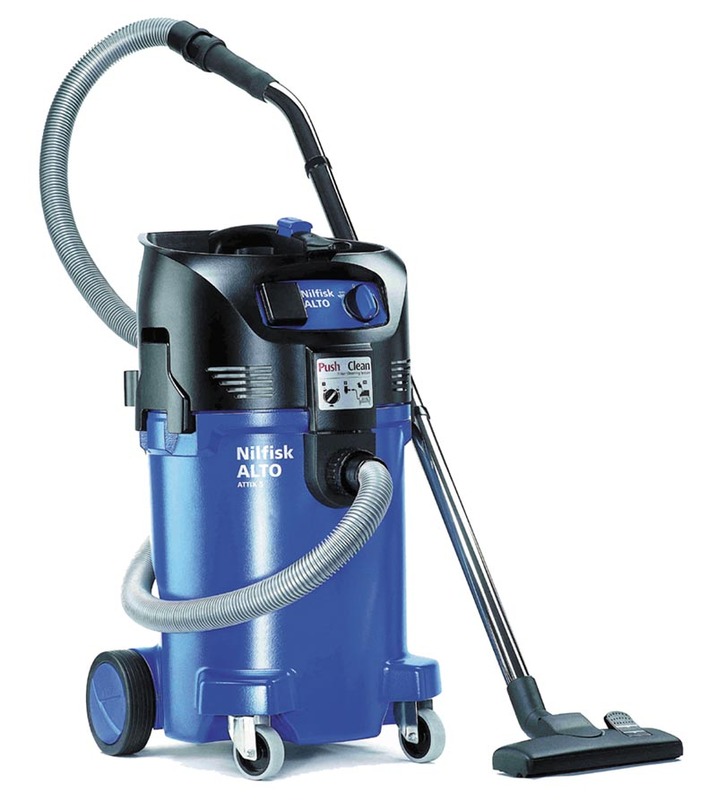 Attix 50 (12 Gallon) Wet & Dry Vacuum - AS/E model....... Mid-sized unit (18x15" footprint, 35-38 lb net weight) offers great performance in the field or in the workshop. The 1000w (1.6hp self cooling by-pass motor) is capable of generating 92+ inches of lift at the working end of the stock hose while operating at a very user friendly 60-62db noise level. The AS/E model includes AutoStart (with a 600w rated plug tap), SoftStart controls (to minimize current surge on startup....standard on ALL Attix 50 models), Speed Control (in both manual and auto modes) and the heavy duty metal floor tool (with replaceable brush). Washable fleece filter (to protect the motor).